OUR STORY: Like some of life’s best things, Fun Sweets Cotton Candy is the result of a happy accident. In 1994, Fun Sweets owner Patrick Fulco (then in the popcorn business) visited the facility of a friendly competitor who was looking to retire. The seller made Patrick an interesting offer; “if you haul all these cotton candy machines out of here, I’ll give you the popcorn equipment for free”. 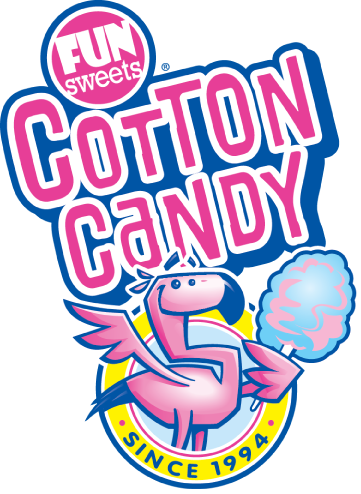 Patrick took the deal, tinkered with the cotton candy machines, found that the neighborhood kids liked cotton candy better than popcorn and Fun Sweets Cotton Candy was born. Neighborhood stores served as an early proving ground, but many of the country’s leading retailers soon followed. 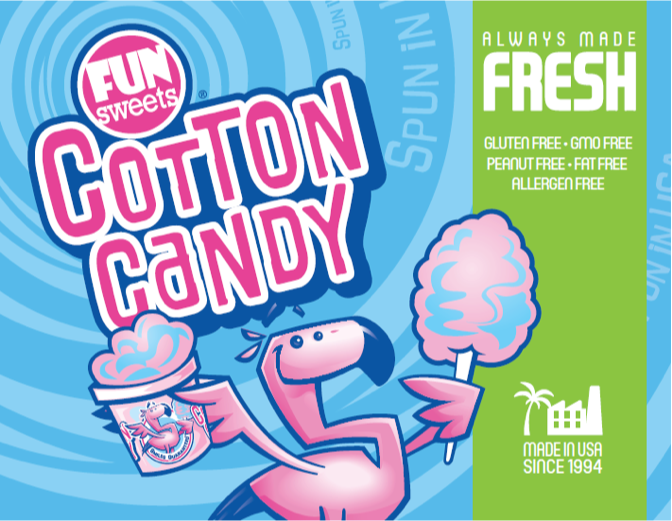 Fun Sweets now humbly wears the crown of America’s Favorite Cotton Candy; delivering freshness, memories, laughs and lots of smiles.